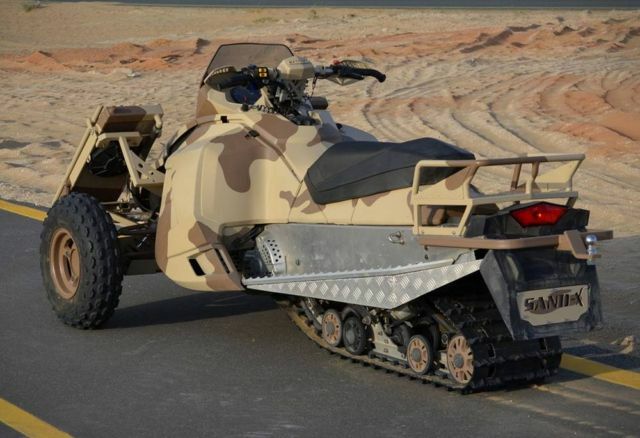 The Sand-X is a small ATV that’s designed to go anywhere, on all terrains. 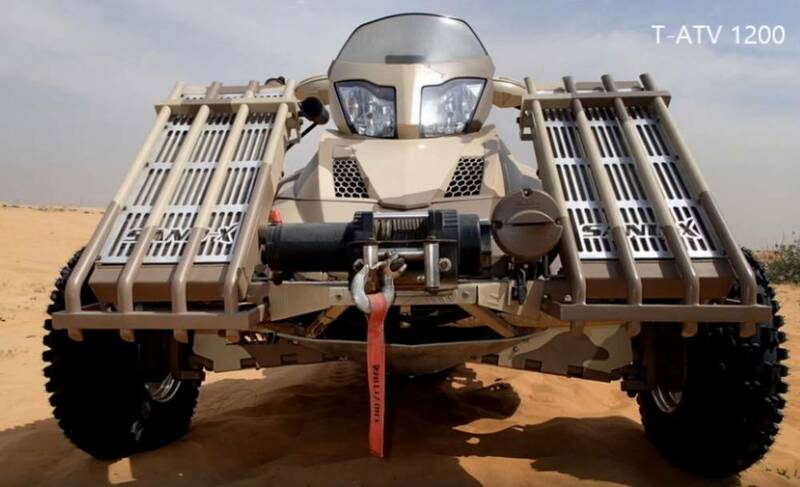 The T-ATV 1200 Tracked All Terrain Vehicle by Sand-X Motors – used by security forces around the globe – is the perfect vehicle for military and civil operations and probably the only Real All Terrain Vehicle (ATV) worldwide. It can be operated on all terrains including the safe operation on sand, snow, roads, rocky terrains and many other most difficult surfaces. This very stable and safe land system, engineered in Switzerland, is designed to conquer the roughest terrains and extreme climatic environments (from -50°C to +60°C).